Police are investigating the deaths of two teenagers in North Lincolnshire who are thought to have taken the legal drug mephedrone. 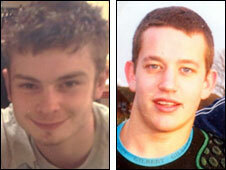 Louis Wainwright, 18, from Winteringham and 19-year-old Nicholas Smith from Winterton both died on Monday. Police said the boys had taken the drug known locally as M-CAT, which appeared to have contributed to their deaths. Two men, aged 26 and 20, and a 17-year-old boy have been arrested in connection with the incident. Det Ch Insp Mark Oliver, of Lincolnshire Police, said both teenagers had been out drinking in Scunthorpe until the early hours on Monday. Police said Mr Wainwright was then pronounced dead at his home address on Low Burgage at 1200 GMT. Just after 1620 GMT, officers received a call about the death of Mr Smith at an address in Redbourne Street, Scunthorpe. Post-mortem examinations are being carried out. Mr Oliver said anyone who had been out with the pair on Monday and also taken the drug should go to hospital "as a matter of urgency". He said: "Humberside Police is currently carrying out investigations into the deaths of Louis Wainwright and Nicholas Smith. "From our investigations we have information to suggest these deaths are linked to M-CAT. "We would encourage anyone who may have taken the drug or knows somebody who has taken the drug to attend a local hospital as a matter of urgency." Six people, including two of those arrested, who are thought to have taken the drug have attended hospital. Three of those have been discharged with no symptoms. The substance, which has become popular on the UK club scene in recent months, is legal in the UK but is subject to a Government safety probe. Its side-effects are said to include psychosis, palpitations, burning throat, nose bleeds and insomnia.